Now that my son is in Kindergarten, the school fundraisers are pouring in! I swear there's a new one that comes home every week. After sitting in on a Home & School Meeting last month, I saw first hand just how important these school fundraisers are. They cut down on field trip costs. They help throw awesome events throughout the school year. 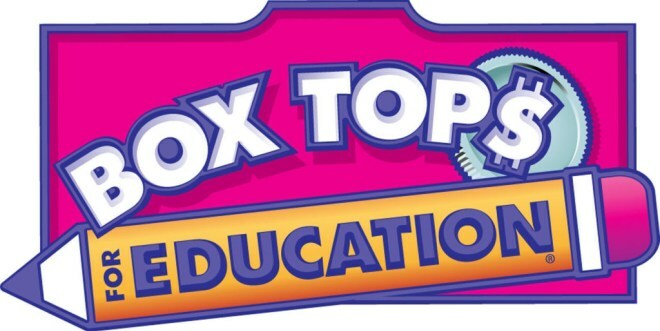 One of the easiest ways to help your school fundraise is by collecting Box Tops for Education. They are found on so many products that you probably have sitting in your kitchen pantry right now! It's so easy to participate. 1. Clip Box Tops from participating products. We find a lot on cereals and baking items. 2. Send them into school! All those Box Tops for Education add up. Your child's school could earn some serious money. Each Box Top is worth $.10 and they add up quickly! Schools can use their Box Tops cash to buy whatever they need most, from books to field trips to playgrounds. If you are shopping at your local Acme this week, be on the lookout for those Box Tops! Many participating products are on sale like Hamburger Help for only $.88 or General Mills Cereal for only $1.88. Not only can you can stock on your favorites this week and not break the bank, but you can also help out your school! *This is a sponsored post from Acme. All opinions are obviously our own. We HEART Acme!